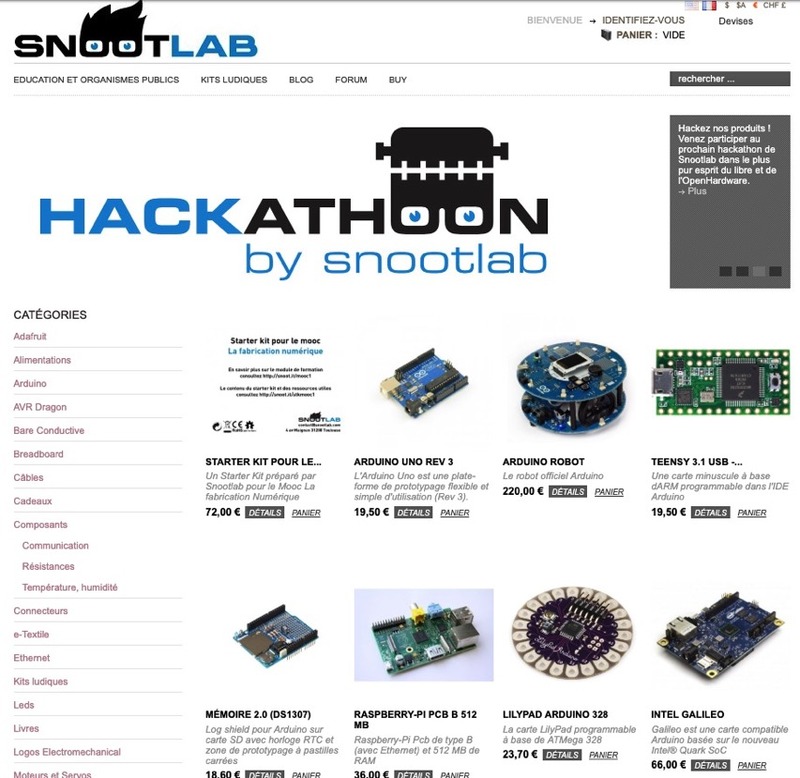 Cessation of activities – Snootlab @snootlab #makerbusiness « Adafruit Industries – Makers, hackers, artists, designers and engineers! Cessation of our activities @ Snootlab. Snootlab is no longer taking orders, says they will put the files on GitHub, etc. We regret to inform you that following the liquidation of the company, it is no longer possible to order our products and we cease our activities. We regret this situation. Our business depended on the subsidiaries of a large French group which decided to terminate the work without notice; Due to lack of resources, we were no longer able to continue the activity. The remote sales activity of shields and prototyping cards was unfortunately not profitable in itself and can not be maintained; we kept it because it is very useful for all Makers and engineers in design offices or innovation departments. We will post on this blog links to technical resources and additional information in the coming days. Faithful to the Open Source Hardware we have been supporting since 2010 and since 2011 by participating in the financing of the Open Source Hardware World Association , we will soon publish on our Github account , sources, bom and photo of our products. If you want to reuse our sources, they are licensed under the GNU GPL v3, we encourage you to improve them and create new shields or products from them while respecting the license. We thank our customers for using our products for more than nine years and especially those who show their support despite the cut of certain services.